Weegoamigo knitted blankets strike the perfect balance between style and comfort. 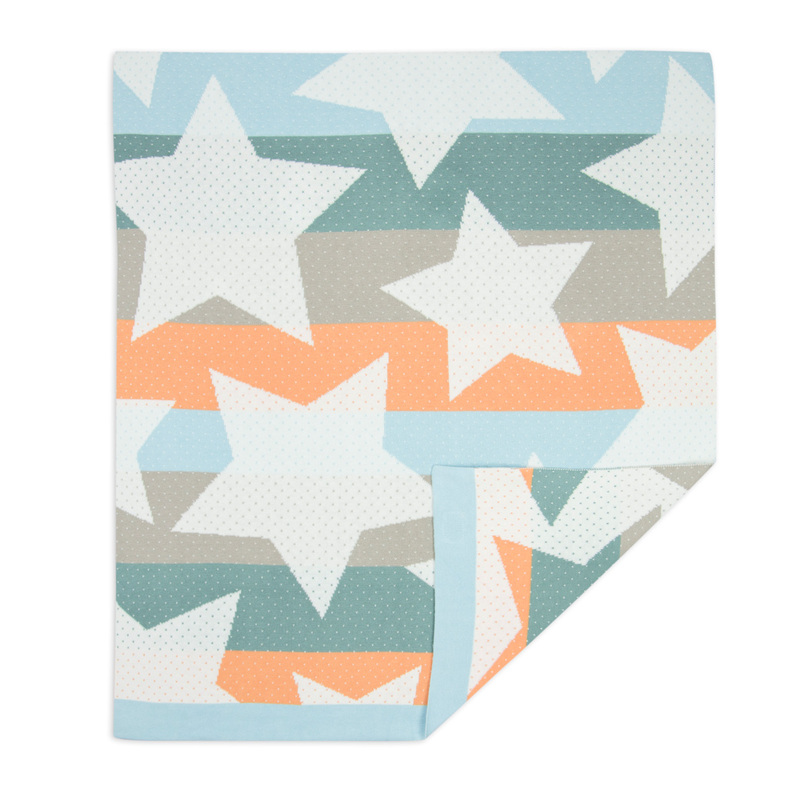 These unique modern reversible designer blankets will certainly turn heads wherever you go. Whether you have it hanging off the stroller while on the go or making use of it around the home the bright vibrant colours of the Weegoamigo baby blankets will look great anywhere, even on the laundry floor! This Weegoamigo knitted blanket is made using premium double layered knit blend of 40% viscose from bamboo and 60% cotton, providing plenty of stretch and an irresistibly soft texture for all-day snuggling. With a thermal (TOG) rating of 0.8, they'll keep baby warm, comfortable and stylish at home as well as on the run. 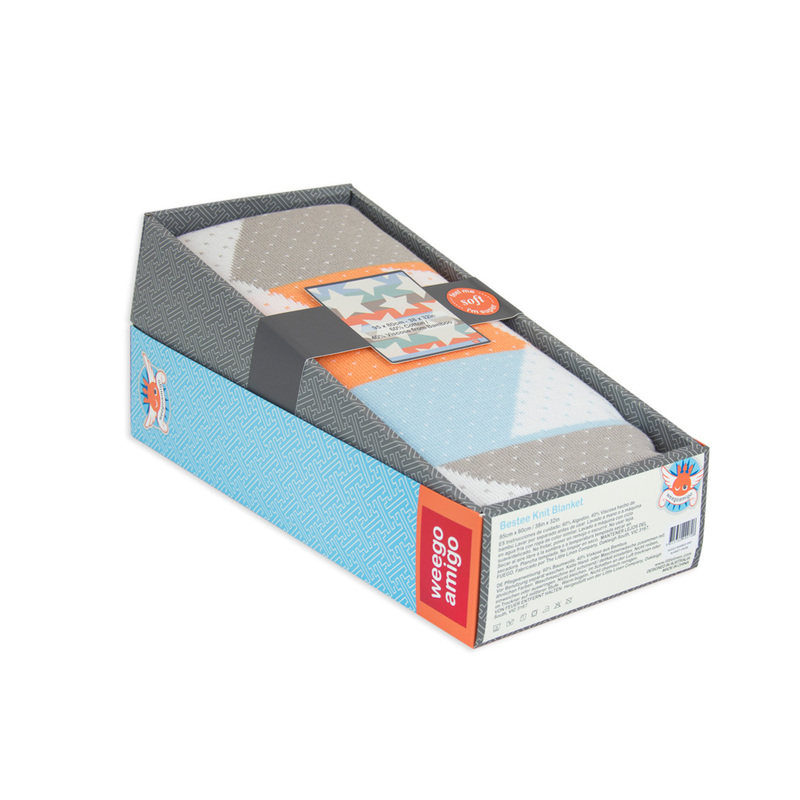 All 'Bestee' blankets are bound and presented in a beautiful gift box making them an excellent gift option. 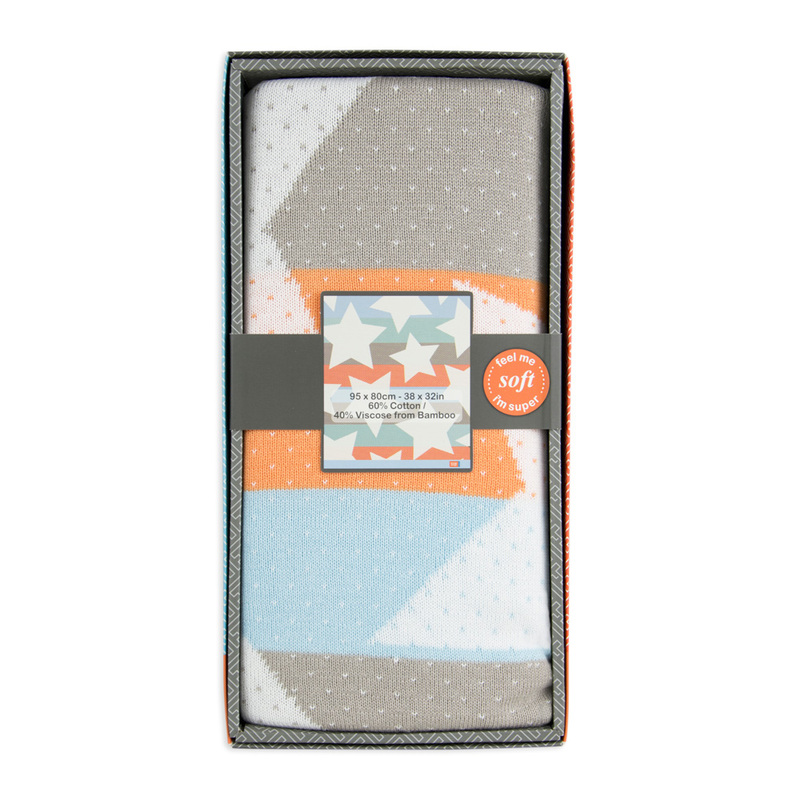 Be one of the first to review the Weegoamigo - Bestee Knit Blankets Bamboo/Cotton - Orion.